The 2013 CMA Music Festival contributed a record-setting $31.5 million in direct visitor spending to the local community according to numbers released by the Nashville Convention and Visitors Corp. Originally started as Fan Fair in 1972 with 5,000 fans in Municipal Auditorium, CMA Fest has grown to a record daily attendance of more than 80,000 people. In 2001, the Festival generated $15.5 million in direct visitor spending; in 2012, that figure had grown to $30 million. The Festival also benefits music education through a program called Keep the Music Playing. To date, CMA and The CMA Foundation have contributed more than $7.6 million to supply instruments and musical equipment for all 144 Metro Nashville Public Schools – providing a strong incentive for students to stay in school. 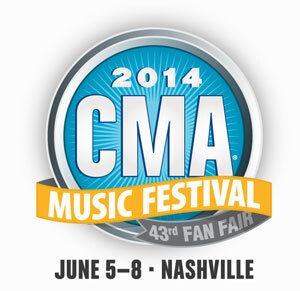 The 2014 CMA Music Festival will take place June 5-8 in Nashville and will again be filmed for a concert special on ABC. Tickets are available now at ticketmaster.com.